It is definitely time to start looking at some window cleaning services if you dislike cleaning windows and have neglected them. If you wash your windows once or twice a year, or never, you know that is certainly not enough. You should clean your windows once every other month or sometimes monthly, depending on the environmental conditions. If you are sitting on your sofa, looking out your window and cannot tell if it is a sunny, lovely day, it is time to consider looking into different window cleaning services. Although no one likes to clean windows an important part of maintaining your home is keeping the windows clean. 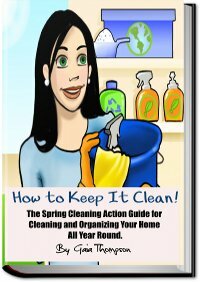 Many people do not clean their windows because it is time consuming and difficult. Others find it dangerous because often they have to climb a ladder and then hang out the window and stretch to clean it properly. Clean windows are important because they bring warmth and light into our homes. You can schedule the window cleaners to come bimonthly, monthly, weekly or at certain designated times during the year and forget about doing this unpleasant chore yourself. In addition, you decide how often you want your windows cleaned and the cleaning service then sets up a schedule. Before you hire any window cleaning services, here are a few questions you should ask. Do they carry liability insurance, are their employees bonded and do they have Workers Compensation? Can they provide you with a list of long-term client references? How many windows cleaners work on your windows, are they are the same people every time and approximately how long will the cleaning take? Is there a service contract required and if so, for how long and what is their cancellation policy? A reputable cleaning service should give you a free written estimate on what you want done, on what jobs they will do for you, how often you require there services and a price. Make sure you both have a written copy so there are no questions if you hire them. When cleaning your windows on the inside, window-cleaning professionals use shoe covers and drop cloths over your furniture and flooring. This prevents any accidental damage. They carefully remove furniture away from the window to gain access but you should remove any knickknacks or ornaments in the window before they clean. They are normally able to clean your windows without removing your blinds or curtains. They have special glass scrapers to remove bird droppings, paint drips and other stuck on pollution and dirt. After cleaning the window, they wipe the window frame clean. Using window cleaning services keep your windows sparkling and bright, while you get to relax and enjoy the view.